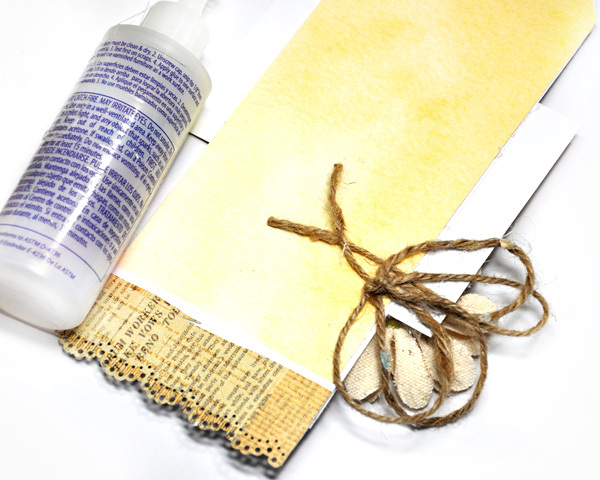 Today I am sharing some projects made with Prima Marketing and Julie Nutting's new stamps and stamp kits perfect for card making. 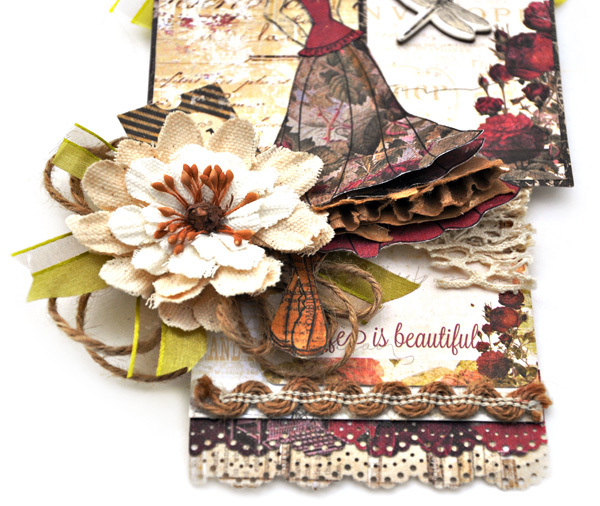 You can find the original post on the Prima blog here. The Doll Stamps are a delight to use and the possibilities are endless. 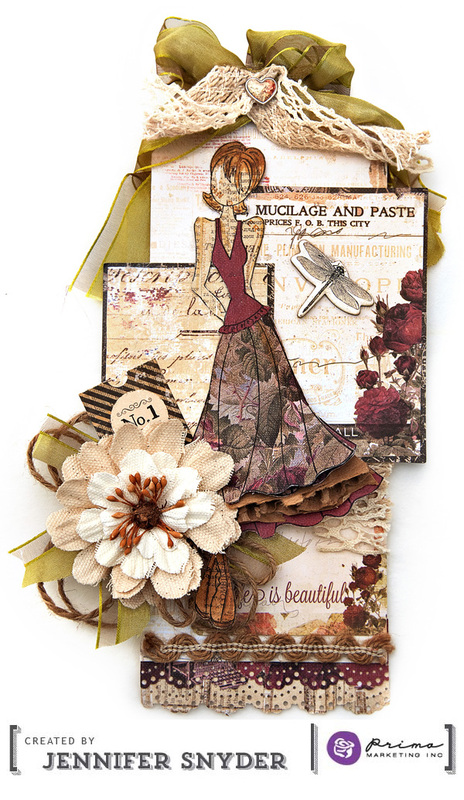 They speak to my childhood love for paper dolls as well as my current love affair with patterned paper and Prima goodies. So I created two tags and a card. I like to think I captured most of the colors of the seasons below with my pieces though I was not trying. I'll start off with my ode to winter because in New York where I live, we are having our share of cold, blustery, snowy days. I bet many of you are also having your fill of winter. I am going to embrace Winter just as Julie Nutting has with her adorable Warm Wishes Cling Stamp Set. My little snow darlin' is dressed in winter white, with a blush pink skirt and matching hat. She has snowy white leggings on also. She's well prepared to stay warm. I stenciled the background with Finnabair's Elementals Stencil to look like snowballs. 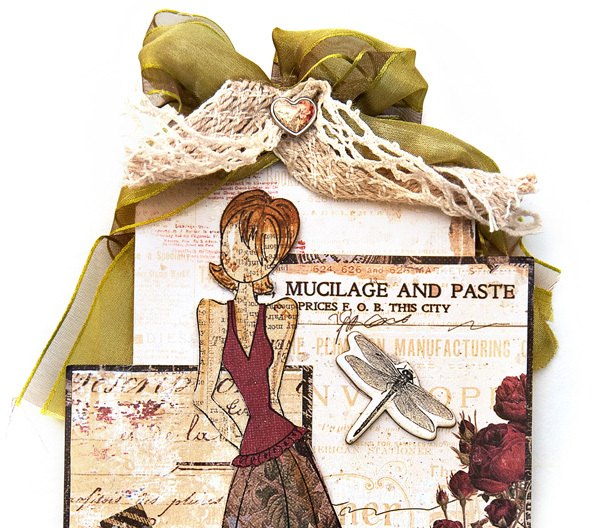 Spring and Summer follow the thaw and Julie Nutting's "Mindy" stamp is our Spring and Summer gal with a warmer, softer, lazy, hazy palette. 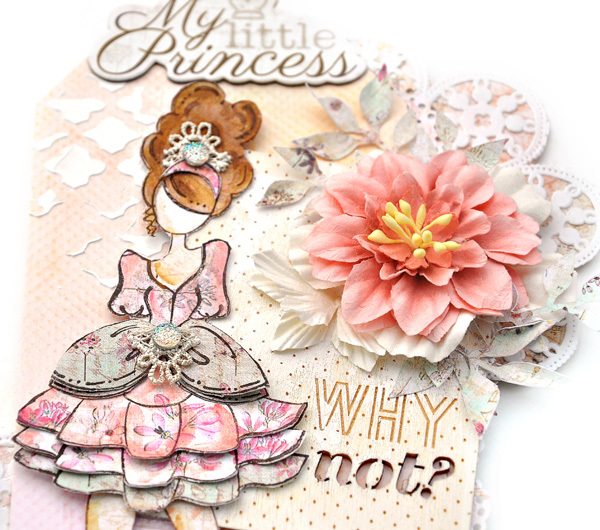 I used the Princess Collection on this tag and tucked a wooden ATC card in also. Next up is my celebration of Autumn with help of Julie Nutting's Megan Stamp and the Stationer's Collection. I stamped the doll onto a sheet of Stationer's Desk -Captured Drama paper. (let's pretend that an autumn breeze is tossing her skirt about). I glued twine to the back of the tag. This looks wonderful from the front, but leaves the back unattractive and messy. 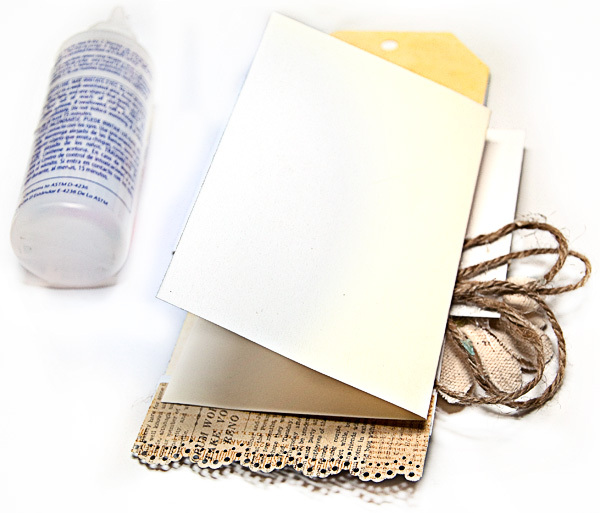 If you hate the back of your tags because they are a crazy mess ( like mine), then just glue a piece of folded cardstock to the back and cover up all those unattractive backsides - turning your tag into a tag/card allowing for room to write your sentiments. Thanks for sharing your day with Prima! totally amazing use of the stamps - just got some... so inspirational!